This sky blue, royal blue, turquoise and touches of gold beaded lanyard would be a great gift for your teacher to wear their badge on. She would be able to wear it on school spirit day for those whose school colors are blue! 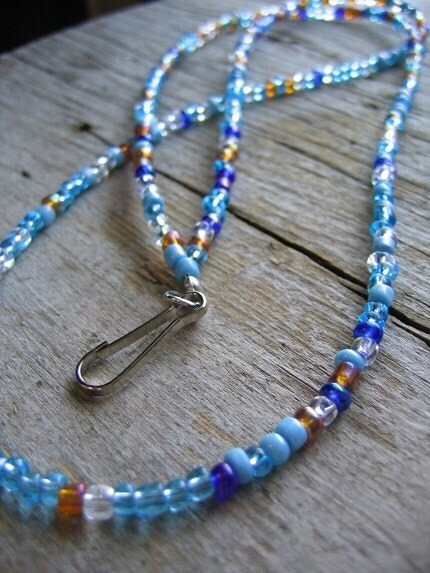 The lanyard measures 15 1/4 inches long to the bottom of the last blue bead. A ring and hook are included at no extra cost to you. This will add another 2 inches to the lanyard.